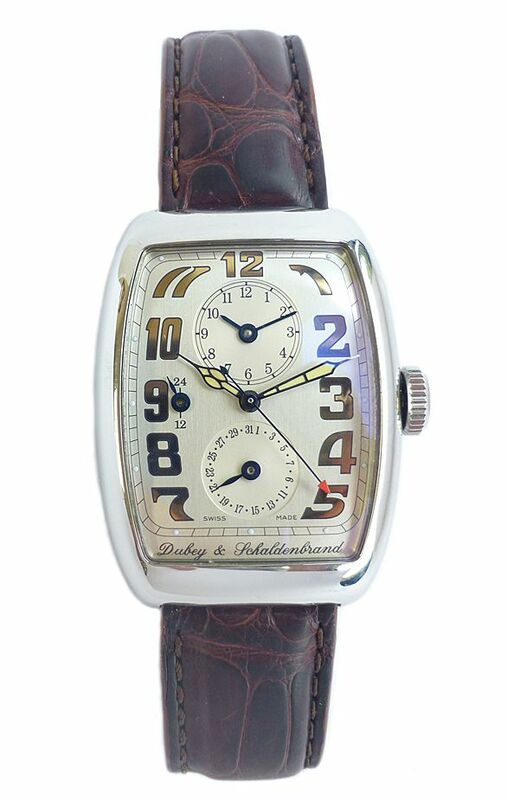 Excellent condition Dubey & Schaldenbrand Aerodyn Duo automatic wristwatch with dual time and 24 hour indicator. It had a full service in July 2018 and comes complete with box and papers. 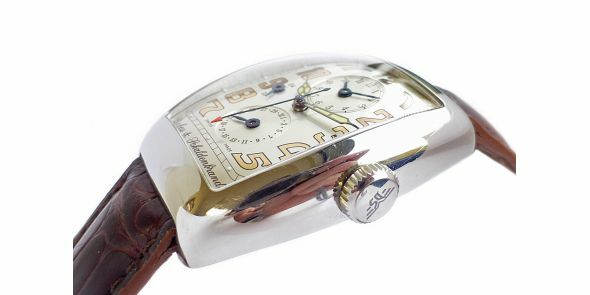 In 1946 Georges Dubey, teacher at the La Chaux-de-Fonds Watchmaking School, formed a partnership with fellow watchmaker R Schaldenbrand to make the Dubey invented split second Index mobire watch. 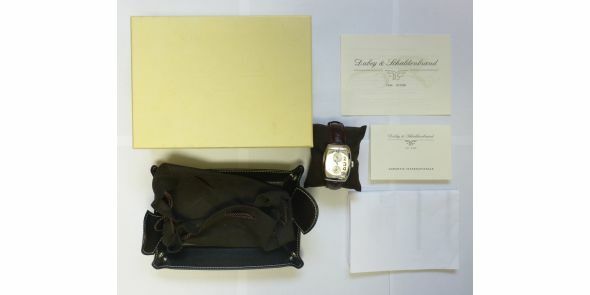 Dubey & Schaldenbrand are headquartered in the village of Les Ponts-de-Martel in the Jura foothills. 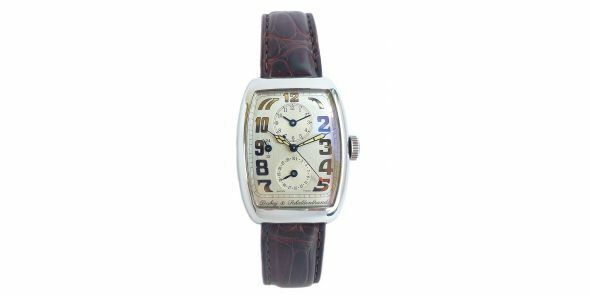 The brand specialises in retro inspired cases and dials that are fashionable today. The company was acquired by Cinette Robert in 1990. 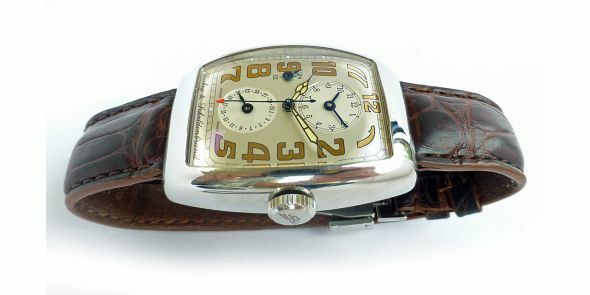 Robert was from a line of watch making pioneers which included the Meylan and LeCoultre families. 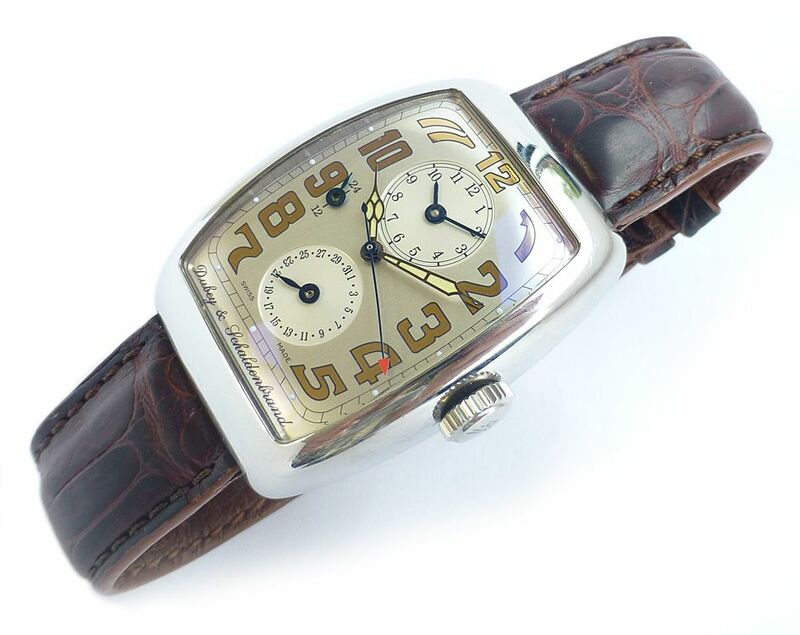 Since Robert took over, the company has gone from strength to strength as they manufacture high quality and unique looking watches designed for the taste of the connoisseur. This one is the Aerodyn Duo. As their company statements mention At Dubey & Schaldenbrand, our craftsmen strive to achieve absoluter perfection in watch making, using only the finest materials of which there is no compromise. 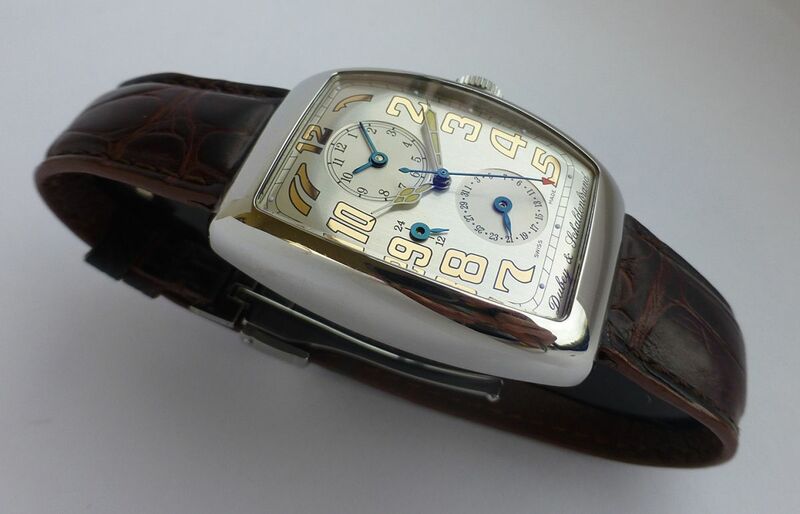 No truer word said as this watch aims to achieve perfection which it seems to have done. 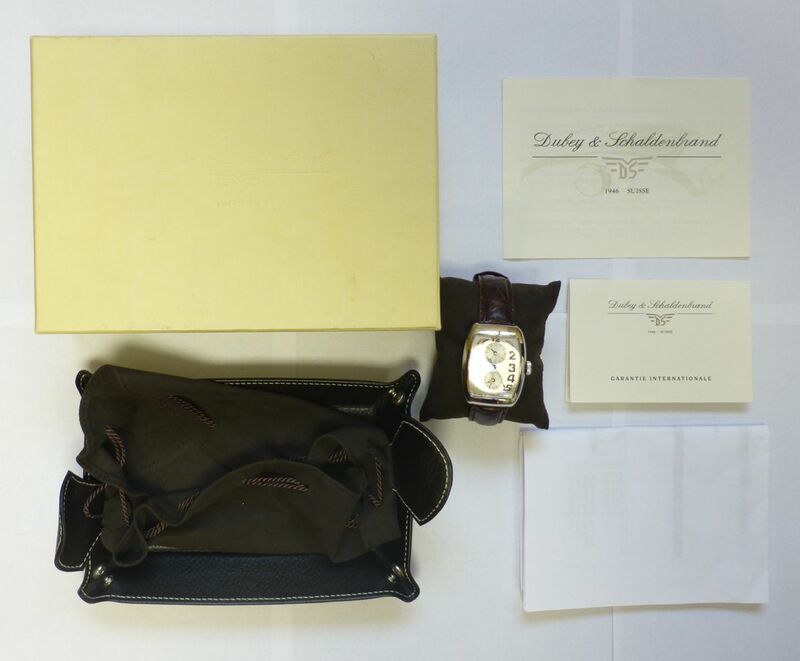 It is well made, beautifully finished, designed with thought and great attention to detail, well packaged and presented and speaks volumes in quality. 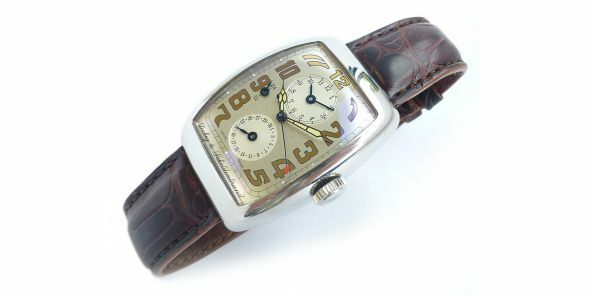 It is designed in an Art Deco style with a case and dial which is reminiscent of a watch from the 1930s. 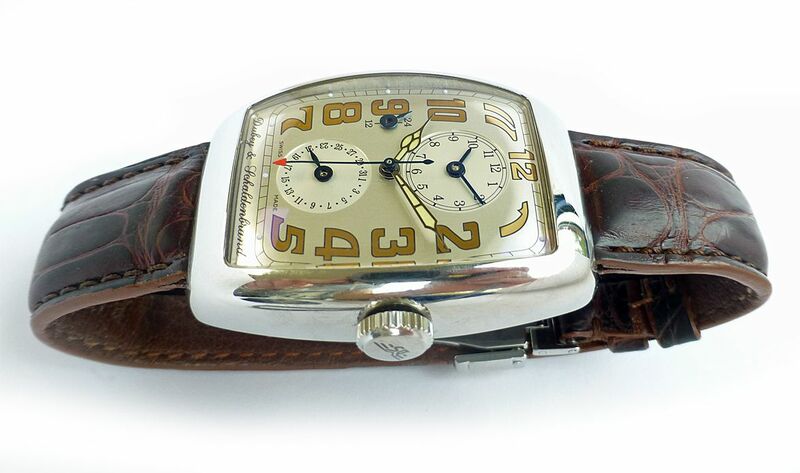 It has the ever popular curved tonneau case, but with a flat case back held down by seven screws. 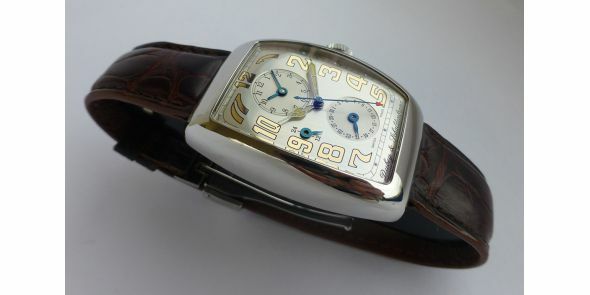 It has a curved sapphire crystal which is perfectly flush with the case giving a neat and seamless appearance. The crystal is anti reflective. 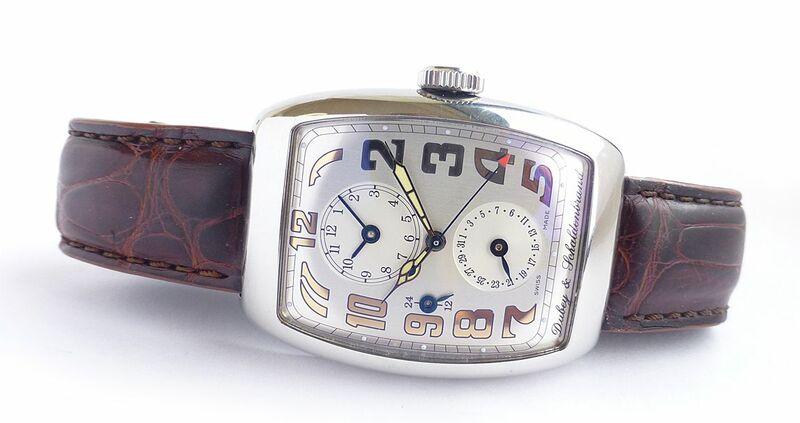 Attractive silver dial with beautifully contrasting gilt numerals and hands. It has a dual time so there is a small clock in the sub dial at the 12 position which can be set totally independently of the main clock. It also has a 24 hour indicator at the 9 position to indicate if the second time zone is am or pm. 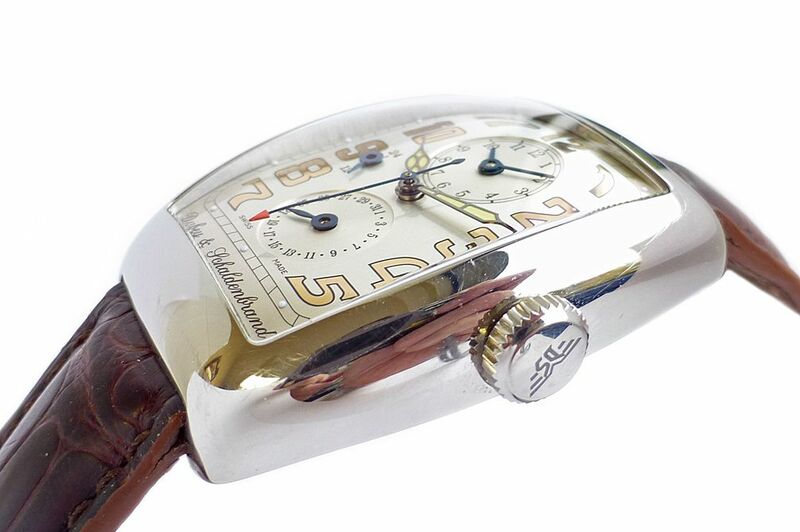 Highly polished case and hidden lugs and signed winding crown. 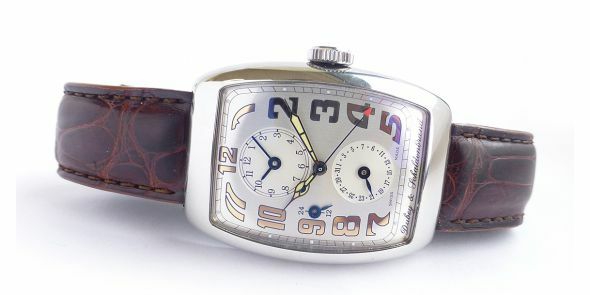 Comes on quality alligator brown leather strap, signed on the underside and signed polished steel deployant buckle this is a bit loose and could ideally do with replacing. Comes with attractive box, outer box, Width is 34 mm excluding crown and 36 mm including crown, lug to lug is 45 mm, Thickness is 12 mm.